Welcome to, Sunday Snippets with, TRM. - Please tell us your pen name, your book title, genre and series name, if applicable? No pen name. It’s all me, all the way. LOL. 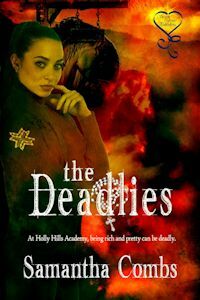 My newest release is THE DEADLIES, a dark and edgy YA paranormal. It releases tomorrow from Secret Cravings Publishing. - 3 words to describe yourself? I’d like to thank my mum, Paulina, for raising us alone and doing it well and for being the best example I could have for raising my own children. I’d like to thank my brother for being the biggest fan I could have. I’d like to thank my husband and kids for letting me be weird when I need to, and understanding my need to write that all down. All the time. At all hours. - 1 sentence to describe your book. Being at the center of an age-old possession of the seven deadly sins, will bring Callie Flood closer to her dead mother than she ever thought possible. - An excerpt from your book, approximately 300 words long. The front of Holly Hills Academy was imposing, reminiscent of antebellum mansions Callie had seen in magazines featuring Southern architecture. As Callie stepped off the ancient school bus and watched the other students flow into the building, so perfect in their uniforms, she felt out of place. The scratchy plaid skirt and starched white blouse were so unlike what she was used to. She couldn’t ever remember wearing knee-high socks. She’d managed to salvage some semblance of her individuality by shunning ladylike black-patent Mary Jane shoes in favor of her beloved black cowboy boots. They didn’t go at all with the proper look of the girls' school uniform, but they were much more her style. They made the stiff, itchy monkey suit halfway bearable. “Hi. You must be Mrs. Flood’s niece, Calliope. She told me about you.” Callie turned to find another girl standing there, dressed in the same ill-fitting school uniform. She had an armload of books and appraised Callie with a friendly eye. “My name’s Suzette Price, but you can call me Suki. Everyone does.” The girl did a little bow and finished it with a curtsey. Samantha Combs is a Southern California author with eight published books: Her Young Adult paranormal titles, the Global Ebook Award-winning debut title SPELLBOUND, SPELLBOUND's sequel, EVERSPELL, GHOSTLY, and WATERDANCER, a middle grade horror called THE DETENTION DEMON, and her adult horror collections, TEETH AND TALONS, WAY PAST MIDNIGHT, and HELLOWEEN. THE DEADLIES is her ninth book and her fifth paranormal. 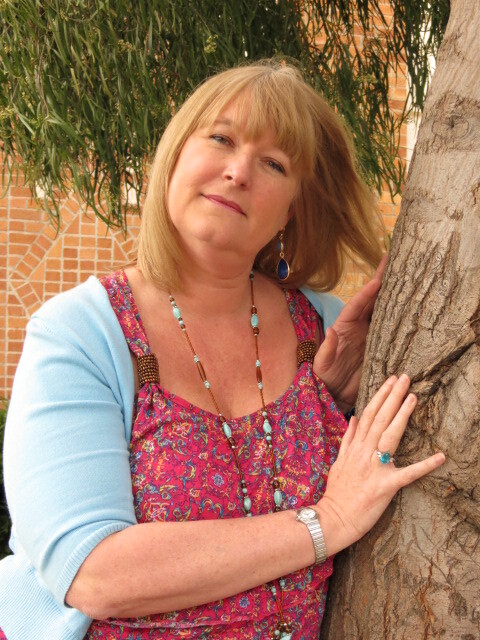 She enjoys writing YA paranormals, both dark and light, and supernatural fantasy and romance, but it is her love of horror that started it all. Thanks, Mr. King. When she’s not writing, she works full time and enjoys spending time with her husband and two children. Her guilty pleasures include reality television, the Food Network channel and shoes. She truly believes she can accomplish anything if she has the right pair of shoes. And she adores totally inappropriate earrings. Samantha loves writing and publishing her work and is in awe of the technological advances of our lives. With all of the genres there are for a reader, she has learned that writing paranormal and horror lets her share all the weirdness of everyday life in a not-so-everyday way. The foundation of a good story is all around her. All she has to do is….breathe. Thank you for joining us on The Romantic Muse Blogspot, Samantha! Wonderful to see you here Samantha! Good Luck with your new release too.